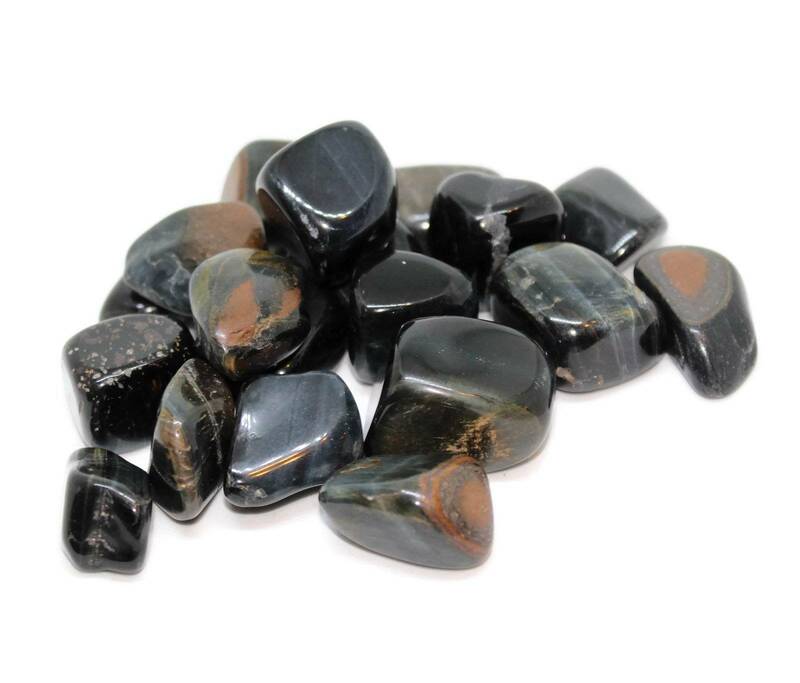 Blue Tigers Eye Tumblestones, measuring 20-30MM approximately. Blue Tigers Eye Tumblestones, sold in 20-30MM sizes approximately. These are lovely polished stones, and make an excellent display piece for fish tanks, aquariums, etc – they also look amazing in a large bowl or a vase. Because of their nice blue shades, they make a good contrast stone with white or black tumblestones. 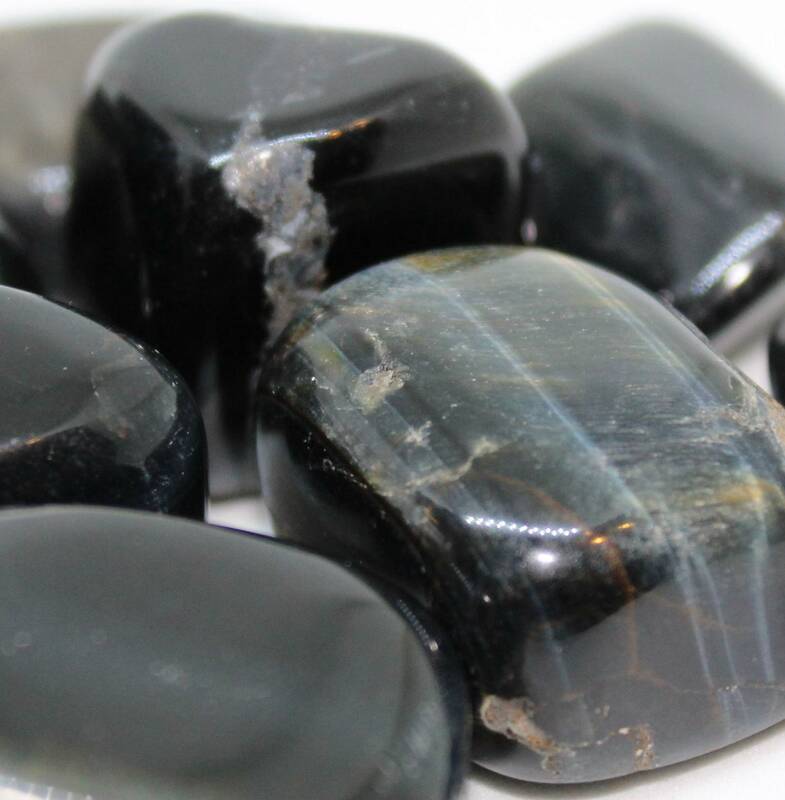 We offer a range of products made from Tigers Eye, including tumblestones, rough stones, and polished stones. 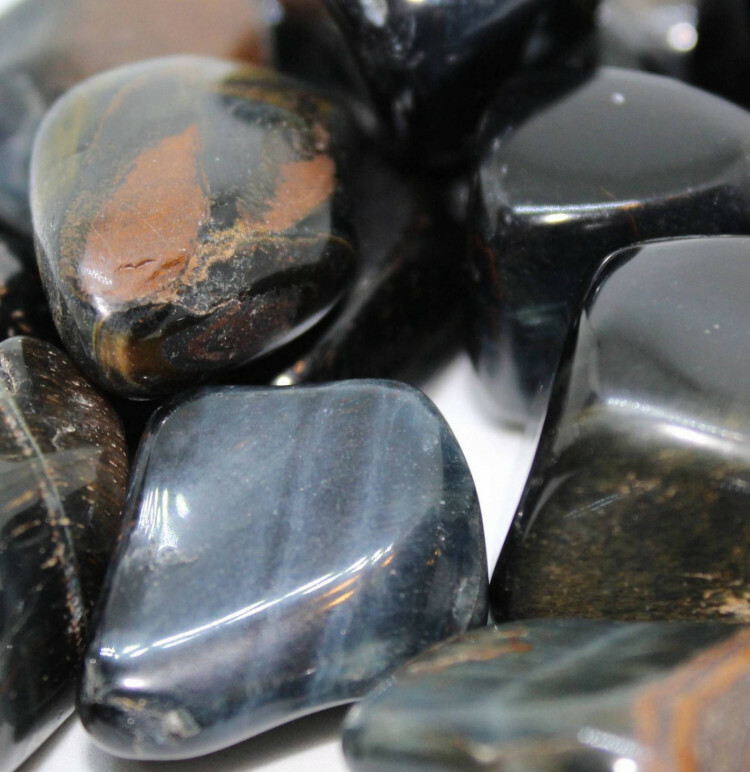 See our Tigers Eye page for more information on the stone and a list of our products.